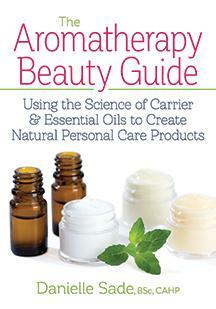 If you are interested in aromatherapy, The Aromatherapy Beauty Guide would be for you. It is a comprehensive look that provides a wealth of evidence-based information on a sensible and sound approach when it comes to creating your very own natural product formulas. There are clear and concise, easy to follow directions, for every skincare need. The Foundation: includes information on everything from anatomy of the skin, the all important mind-body connection, skin types, skin aging, the science of skin care, and creating your own personal apothecary. All without chemicals and preservatives. The Ingredients For Great Skin Care: Information on raw ingredients that you will need to get started (clays, flours, grains, carrier oils, essential oils, etc.). Ms.Sade discusses the essential properties of 16 carrier oils like coconut, jojoba and marula. Plant butters such as shea butter as well as herbals infusions are also featured for their healing and therapeutic properties. Essential Oils: 35 essential oils are featured from Bergamot and Carrot Seed to Roman Chamomile. You will discover all you need to know about essential oils including the biosynthesis of essential oils, the genus and varieties as well as a directory of the oils best suited to your personal care and needs. Creating Your Own Personal Care Products: over 100 formulations with easy-to-follow instructions on creating products for the face, body, bath, pregnancy, breastfeeding and hair as well as products for men are featured. This book is extremely comprehensive. I like that it is broken up into sections. It goes fairly deep into each section, from basic skin care that everyone should know to extremely deep on topics such as essential oils and how to develop them into personal care products. Essential oils can be toxic when used improperly. It is of vital importance that they be used correctly, not directly on the skin (hence the carrier oils) and mixed with something like a salt or a clay to create a bath salt or a mask. I found this book to be fascinating. I especially liked the section on Essential Oils and all of their properties. It was extensive and covered so many different oils, including ones that usually do not make the cut in many books. It even discusses the chemical components of the essential oils, in case you are a chemist. Here is a recipe for Honey Raw Exfoliant, which is great for dry skin. Honey is a humectant and draws moisture to the skin. You will need: bowl style double boiler, small beaker, glass stir stick and glass bottle of about 2 oz. sprayed with 70% ethyl alcohol. 1. Set a heatproof glass bowl over a saucepan of hot (not boiling) water and heat until warm to the touch. Add honey and let melt completely. Remove from heat. 2. Add pomegranate extract and benzoin essential oil and stir well. While stirring, gradually add water. 3.Transfer to prepared bottle and seal tightly. Properly stored the exfoliant will keep for up to 2 weeks. For an anti-inflammatory boost, substitute patchouli oil for the benzoin. To Use: Wipe your face with a cloth soaked in warm water, using your fingers, gently massage the exfoliant onto slightly moist skin. Leave on for 1 minute, then gently rinse off with a cloth dampened with warm water. Follow with toner and moisturizer. Use 1-2 a week, in the evening. As you can see, these recipes are involved and require some equipment and definitely some slight knowledge of oils (which you will learn in this book) as well as other ingredients (which you will also learn in this book). It is definitely a comprehensive guide that will give you the tools to make all of your own products should you desire to do so. Danielle Sade, BSc, CAHP has over 30 years experience teaching and practicing complementary health practices where she creates educational certification programs in aromatherapy and also leads workshops in making natural product formulations for personal and professional use. She was inspired to write this book because of her own skin sensitivities that did not clear up after multiple visits to doctors. She took matters into her own hands and sought out natural medicine as a healing approach. She is the founder of Healing Fragrances School of Aromatherapy. She has been the President of the Canadian Federation of Aromatherapists (CFA) for three different terms and is an active member of their educational committee. She lives in Toronto. I would definitely recommend this book to anyone who is interested in trying to make their own natural products from essential oils, clays, salts and other ingredients. It might take a little bit of time and money, but if it is something you feel passionate about, go ahead and do it. It is definitely something you will not regret. I have done it before and loved the results. It is ultimately the matter of having fresh products and the space for them. Also making the time for making the products. It's very easy to do and is a fun thing to do with your teenage children, especially young women. The Aromatherapy Beauty Guide: Using the Science of Carrier & Essential Oils to Create Natural Personal Care Products retails for $24.95 in the USA.